We all want to win and be successful at life. 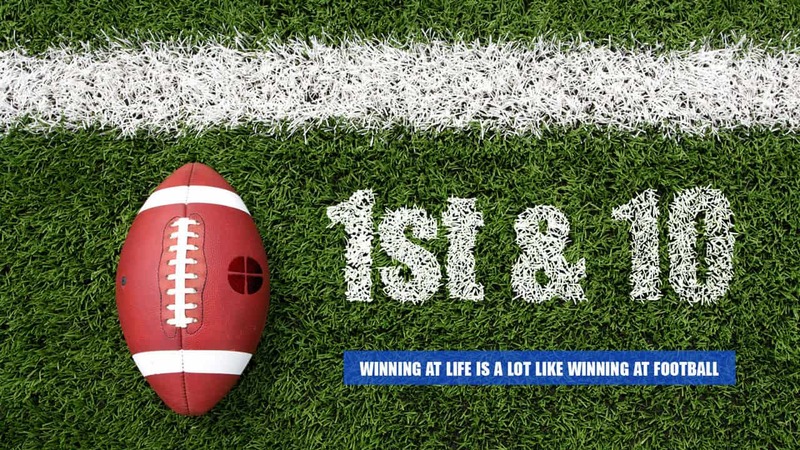 So, let’s learn some lessons from the gridiron that parallel God’s winning strategy for our lives—for now and eternity! 1st and 10: Play to Win! 1st and 10: Find Your Position! 1st and 10: Huddle Up Often! 1st and 10: Listen to Your Coach!